Sudan has more than 500 ethnic groups, each with its own dialect, traditions, and dance making it the most diverse nation on the continent. The Nile flowing north from Khartoum towards Egypt is the link that runs through Sudan, influencing the lives of its people. Along the banks of the river and in the valley of the Sahara Desert are many interesting archaeological sites from the Egyptian and Meroitic civilizations that have seldom been seen by the public, including more pyramids than in Egypt! 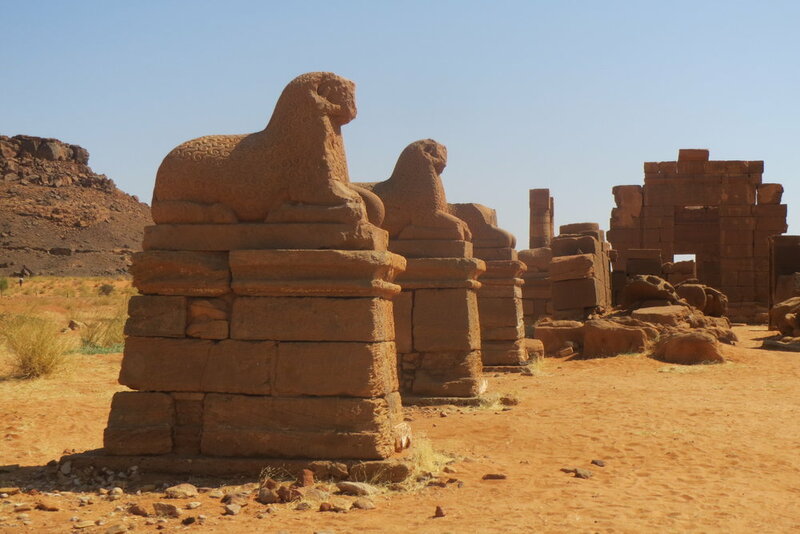 Come and explore magnificent monuments, tombs and temples set in a landscape of impressive natural wonders of as you travel through the desert and along the Nile of Sudan’s mysterious north, an ancient land once known as Nubia. Kushite monuments display a rich combination of Pharaonic, Greco-Roman and indigenous African traditions, and two are UNESCO World Heritage Sites – Meroe and Jebel Barkal. Tall pyramids, gigantic mud-brick buildings, rock-cut painted tombs, and ornately carved temples – all are present for us to discover. Round trip airfare New York/Khartoum/New York including fuel surcharges, airport taxes & security charges. Airport transfers (if arriving/departing on scheduled flights) by private motor coach. Transport with 4x4 vehicles outside Khartoum & Minibus in Khartoum. Deluxe hotel in Khartoum, very nice rest house in Karima, permanent comfortable tented camp in Meroe. English-speaking native guide all the way through. All meals as specified in the itinerary and bottled water. All activities described in the tour and entrance fees to all sites mentioned and still-camera fees to all sites. National Museum and Archeological sites entry fees. Gratuities to guides, drivers, porters and & hotel staff. Fuel surcharges, airport taxes & security charges (approximately $485.00). Visa for Sudan (Currently $285.00 and subject to change) payable cash upon arrival. Your passport must not include any Israeli stamps. Video camera permits $20.00 per site. Expenses of a personal nature such as: beverages with meals, telephone, email, laundry bills, etc. Any additional nights due to airline schedule changes or arrivals on different airlines from the one we use. Trip Grade: III Challenging – Parts of the trip are physically challenging, involve hiking on rough terrain or in sand or at high altitudes. There may be very long drives on rough roads; weather conditions with high heat or humidity, presence of insects. You may have simple picnic lunches, primitive bathroom facilities along the road and remoteness from modern towns or cities. *** Superior: Lodges and hotels with additional amenities, refined service and comfort level acceptable to western standards. (3/ 4 stars). About your LecturerDr. Richard A Lobban Jr.…Dr. Lobban was Chair and Professor of Anthropology and African Studies at Rhode Island College where taught for thirty-six years. He has also taught at the University of Khartoum, American University in Cairo and conducted research in Tunis, Egypt and Sudan. He is the Executive Director of the Sudan Studies Association. He has published scores of articles, reviews, book chapters and encyclopedia entries, and a number of books on the Middle East including reference books on Sudan, on Middle Eastern Women. Among other things he specializes on urban and complex societies as well as gender, ethnicity, race and class, especially in the Middle East. His most recent books are The Historical Dictionaries of Ancient and Medieval Nubia and of Sudan as well as a translation from French of the 19th century account by Pierre Tremaux who traveled in the region. He travels to Egypt and Sudan often over the last four decades including Nubia, the Nuba Mountains, the South and the East. At present he is co-director of archaeological excavation in northern Sudan and he teaches African studies at the Naval War College, when not leading tours to Egypt. He is a founder, first President and Executive Director of the Sudan Studies Association. Fine Print: Some of the sites visited are remote and tourist accommodations do not exist in the area. 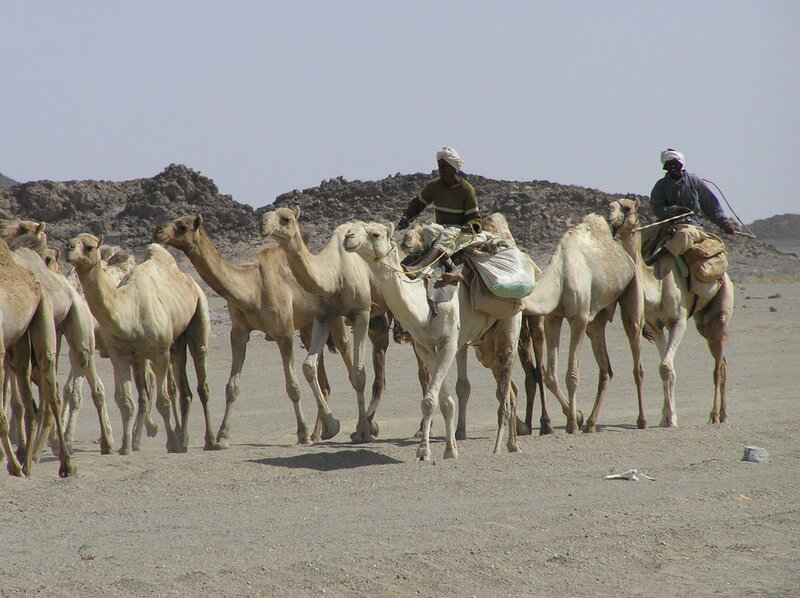 In order to visit them, a simple but comfortable camp is utilized (Meroe). For the extension, 2 nights are spent in a simple/primitive Nubian house with shared facilities and sleeping bags on simple bench beds. Sometimes on the tour, you may encounter insects as well as mosquitos are also in season especially near the Nile valley hence you need to take your precautions. During the best time visiting Sudan (Nov-Feb) temperature will be around upper 80’s in the sun.Visa process is currently simple & straight forward as it will be obtainable and paid for upon arrival in Khartoum (subject to change). Rates are based on today’s (Jan. 2018) exchange rate (Vs. Euro) and if it fluctuates, you will be billed for the difference. Depart the US arriving in Khartoum the next evening possibly late night next day. Arrive in Khartoum in the afternoon or late evening, where you will be met, assisted with visa process and transferred to Corinthia hotel. Overnight at the hotel. Transfer to the airport for your flight back home arriving the same day.